TSN: Darren Dreger said that there are at least five to seven teams that are in the mix for the undrafted Justin Brazeau. The Toronto Maple Leafs have expressed some interest. Boston, St. Louis, Nashville, Vegas, Columbus – they are all intrigued by him. In a perfect world, one of these teams would get him signed to an American Hockey League contract, but when you’ve got those numbers and you’re going into the playoffs, then obviously he is looking for an NHL deal. TSN: Pierre LeBrun said that Don Waddell has been the GM of the Carolina Hurricanes for a year now, but it was never meant to be a long-term position for them. He’s the team president and he has a lot of functions for that organization. He’s a busy guy. Tom Dundon, the owner of the team, told me today at the end of the season that he will sit down with Waddell. They will discuss the future and figure out what’s right at the GM position and beyond. What does the future hold for Eriksson? 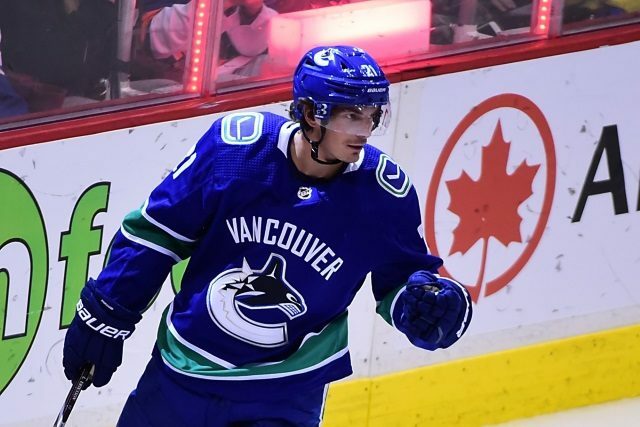 Jared Clinton of The Hockey News: The Vancouver Canucks made $6 million forward Loui Eriksson a healthy scratch last week. He has three years left on his contract. He’s been tried up and down the Canucks lineup and has been passed by younger players. The Canucks have three options: keep him, trade him, or buy him out this offseason. Trading Eriksson would mean throwing in a sweetener or two to convince a team to take on the contract. Another issue is that Eriksson has a full no-trade clause next year. After next season it becomes a modified no-trade clause – 15 team no-trade list.